If you’re interested in having a complete SEO platform according to Google best practices, you are in the right place. Following Google’s best practices will make it easier for search engines to crawl, index and understand your content. Why Should You Do Search Engine Optimization (SEO) For Your Website? Search engine optimization (SEO) is often about making small modifications to parts of your website. When viewed individually, these changes might seem like incremental improvements, but when combined with other optimizations, they could have a noticeable impact on your site’s user experience and performance in organic search results. You’re likely already familiar with many of the tools in this website, because they’re essential ingredients for any web page, but you may not be making the most out of them. You should optimize your site to serve your users’ needs. One of those users is a search engine, which helps other users discover your content. Search Engine Optimization is about helping search engines understand and present content. Your site may be smaller or larger than our example site and offer vastly different content, but the optimization topics we discuss below should apply to sites of all sizes and types. Implementing SEO in your website will make the site search engine friendly and searcher friendly. This will increase the ranking of your website or webpage and boost traffic levels. If you want to rank high on Google or spot your website on first pages of different search engines, then you should have an SEO optimized website. Our All-In-One Search Engine Optimization Platform can help you to develop a great link building strategy that is able to increase the quality and volume of your inbound links. As you might already know, building high quality inbound links is very important for a successful SEO campaign. 1-stSEO is an application that has made it easy to analyze your visitors or a competitors website. You can analyze your keywords, locate and track their position on a daily basis, find correlated keywords and keyword autosuggestion. 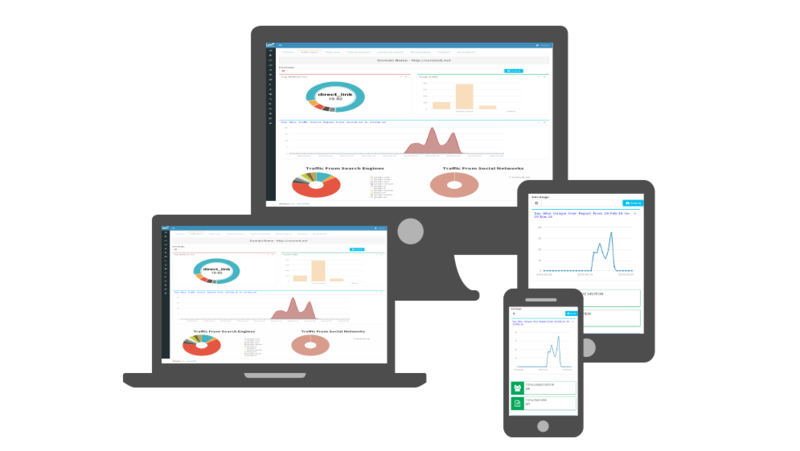 You can also analyze your using metrics such as Unique Visitor, Page View, Bounce Rate, Average Stay Time, Average Visit, Traffic Analysis, Top Refferer, New & Returning, Visitor Content Overview, Country & Browser Report, and OS & Device Report. Trial : 7 Days - Try and Test all The Features For Free Now! Save your Money and Time. Track Your Site Now!